I went in for my PET scan yesterday. It shows no new growth and improvement! Yay! That was what I needed to hear! The past 3 months have been so hard on me! It’s good to know that all I’ve been through has helped. Talk about life changing! That’s what cancer is! I was hoping for a break from chemo. How nice would it be to feel normal this summer! No chemo brain, no nausea, no extreme fatigue, no bald head, could I be so lucky?? No..my new treatment plan is in full force. 12 rounds of chemo, one every Friday for 12 weeks! On the bright side it’s not AC, it will be Taxol this time. I hear the side effects are a lot easier to handle than the side effects of AC. Praying this is true! Seeing the improvements on my PET scan helps to motivate me for the next 12 treatments. I can do this! As far as feeling normal goes, I guess its just time to find my ” new normal”! 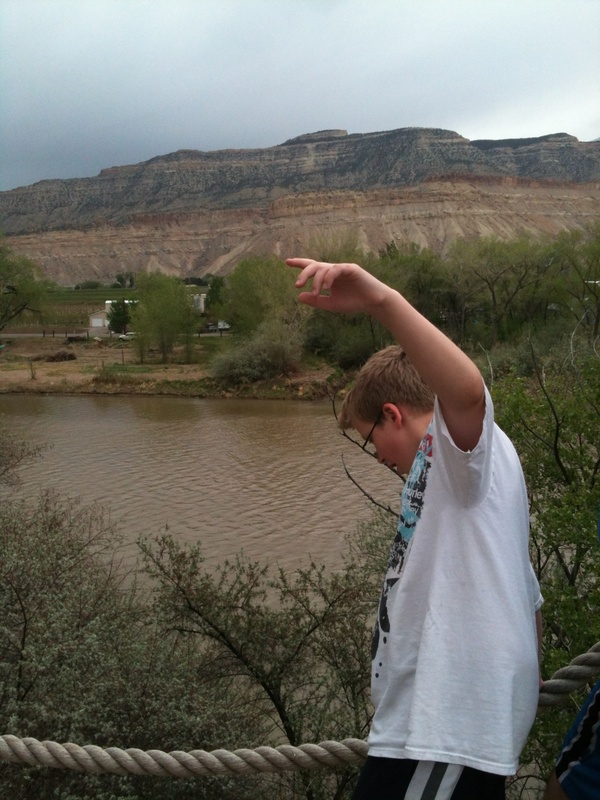 That’s my T.J. out by the river. It was so good to have a little break from chemo! So good to be outside! This entry was posted in Uncategorized and tagged breast cancer, Chemo, PET Scan, stage 4, Taxol. Bookmark the permalink. ← Just a little update…. Hi, Becca! You are so young to be going through this! Stay positive and you will beat it! I’m a bit behind, but just stopped in to see how your scan went. I’m glad that you didn’t have any new growth, but so sorry you will be facing a summer of chemo! As you’ve been told, Taxol isn’t as bad as A & C, but I wish you didn’t have to deal with any chemos. Or anything cancer-related. Period! Thank you! So far the Taxol has been a lot easier. I’m enjoying time with my little man!